The female body is unique and diverse in its make up and nature, so much so that when it comes to keeping it healthy, the same cookie cutter approach cannot be taken for everyone. This also stands true when it comes to female healthcare, females seeking treatment or advice from health professionals should get a sense that their situation is being looked at on an individual basis and that recommended treatments are unique to them. This week we had the privilege to sit down with Dr. Candice Todd, a naturopathic doctor with a new take on women’s health. Dr. Todd discusses with us what made her want to specialize in women’s health and how naturopathic medicine can be used to treat a number of conditions affecting many women. Naturopathic medicine is healthcare that blends modern scientific knowledge with natural forms therapy. Following a detailed assessment and investigation of your health concerns, a Naturopathic Doctor will create an individualized treatment plan for their patient. These are the patient’s unique solutions to achieving their health goals. Treatments and therapies are safe, effective and long lasting, with the aim of treating the cause of the health concern, rather than masking its symptoms. Naturopathic medicine is not only about treatment, but it’s also about education and prevention. As a Naturopathic Doctor, I love to empower my patients with the knowledge to take their health into their own hands! In practice, I have a specialized focus in Women’s Health and Performance Medicine. Women’s Health is defined as a state of complete physical, mental, and social well-being, as experienced by women, and not merely the absence of disease or illness. While many conditions treated in Women’s Health are related to a female’s physical structures and/or hormonal makeup, it also deals with conditions that are common to both men and women, such as cardiovascular disease or osteoporosis, which manifest uniquely in women. Performance Medicine is a specialty that aims to maximize human performance in terms of endurance, physical fitness, metabolic efficiency and the ability to resist, postpone or prevent disease. It is an innovative medical specialty that merges the goals of internal medicine, anti-ageing medicine, sports medicine and preventative health interventions. The two mesh well together very well in creating plans for women to help them perform in all aspects of life. What made you want to specialize in women’s health? The obvious reason is that I know, first-hand, the complexities of being a woman! Women have a gamut of health issues that are inherently theirs. It’s been my mission, of sorts, to help women navigate these concerns in the most effective and efficient way possible. I also love to help women learn more about themselves, in essence empowering them in their own health and wellness. I am also a strong believer in preventative and proactive health care – which is a huge part of the aim to my approach of health care. 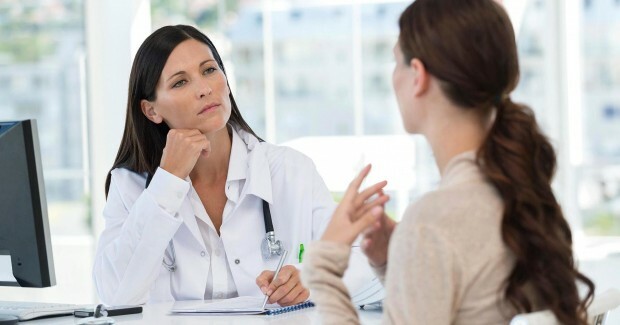 What are some common female conditions naturopathic therapy can treat? 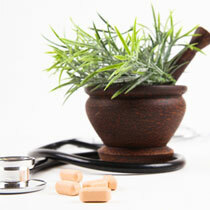 Naturopathic medicine can treat a wide array of health concerns experienced by women. Common conditions and health concerns that can benefit from Naturopathic Medicine include menstrual disorders like PMS and irregular menses, menopause, polycystic ovarian syndrome (PCOS), uterine fibroids, endometriosis, breast concerns and fertility. Prevention is also a huge factor in the therapeutic management of many women’s health concerns. As previously mentioned, there are also a number of general health conditions that are common to both sexes but experienced differently by women. Weight management, osteoporosis, cardiovascular disease, thyroid conditions, autoimmune conditions and sleep and mood disorders are some of these common health conditions that can be unique in women. These are also commonly treated using naturopathic therapies with great success. Naturopathic Doctors employ a number of different natural modalities in their treatment protocols including acupuncture, clinical nutrition, botanical medicine, physical therapies and lifestyle counseling. If you would like to book a consultation with Dr. Todd contact her at [email protected] or (416) 579-0623. Dr. Cassandra Laleye is a chiropractor currently practicing at The Health Institute (THI) located in Toronto. 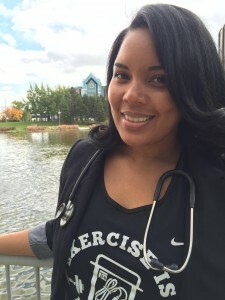 Before attaining her Chiropractic Degree from the Canadian Memorial Chiropractic College, she completed her Bachelor of Science degree at York University, majoring in Kinesiology. Dr. Cassandra is passionate about working with females and the aging population and as part of the THI team she aims to promote health, fitness and well-being to all her patients.